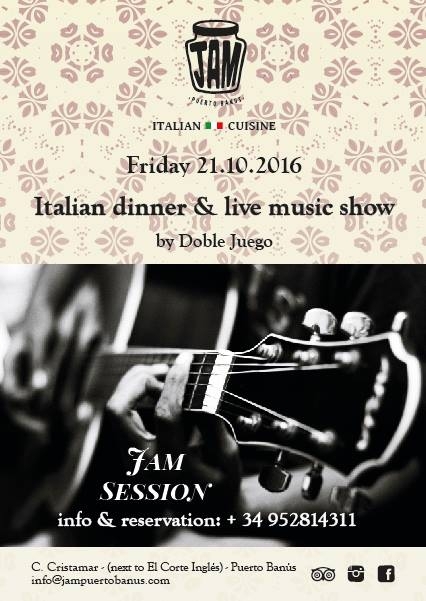 A great evening with our italian cuisine and live music show by Doble Juego band. Come and enjoy the best traditional italian dishes accompanied by lovely music. Dinner a la carte.